The 2015/2016 summer cruise season looks set to be the biggest yet, with Royal Caribbean International offering Australian cruisers the largest selection of state of the art, feature packed ships in the region. Newcomer Explorer of the Seas will reposition to Australia from Singapore on a 10 night sailing to Fremantle, arriving 13 November 2015. After a Round Australia and New Zealand cruise, she will arrive at her new homeport of Sydney on 28 November 2015, from where she will cruise to New Zealand and the South Pacific until April 2016. There will also be several 3 and 4 night sailings, allowing guests to sample one of the world’s largest and most innovative cruise ships. Voyager of the Seaswill arrive in Sydney for her third consecutive Australian season, from a 14 night Singapore repositioning sailing on 5 November 2015. Throughout the season, she will cruise the South Pacific and Fiji, as well as a 7 night Tasmania cruise featuring an overnight stay in Hobart, plus an 8 night Queensland cruise, before departing Sydney on 16April 2016 on a 14 night repositioning cruise to Singapore. 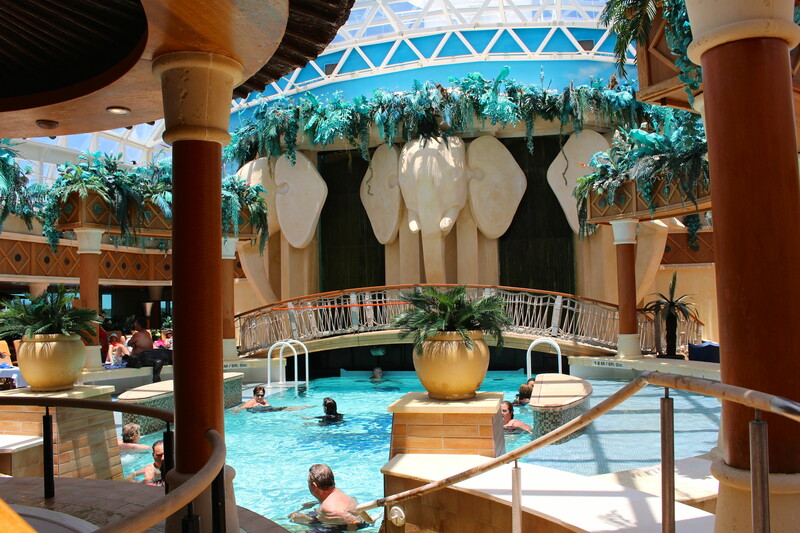 Radiance of the Seas will also offer a variety of itineraries to the South Pacific, New Zealand and around Australia during her 2015/2016 season. Cruises range from 8 to 14 night South Pacific itineraries to two 16 night sailings Round Australia’s Top End and Round Australia’s Bottom End from Sydney and Fremantle. There will also be 4 and 6 night sampler cruises, a 7 night Tasmania cruise plus a 10 night Queensland cruise, as well as two combinable trans-Pacific crossings between Vancouver, Hawaii and Sydney in September 2015 and April 2016. All three ships will have undergone approximately $200 million worth of renovations by the time they arrive in Sydney. Brisbane will become Royal Caribbean International’s second Australian homeport when Legend of the Seas arrives in December 2015 for the 2015/2016 five months summer cruise season, bringing their Australian fleet to an unprecedented four ships. This 2,000 guest ship will meet the growing demand from both Australian and international cruisers wishing to experience world class cruising in Queensland and the South Pacific. At 70,000 tons, she is one of the largest superliners able to navigate the Brisbane River, docking at Brisbane Cruise Terminal at Portside Wharf. 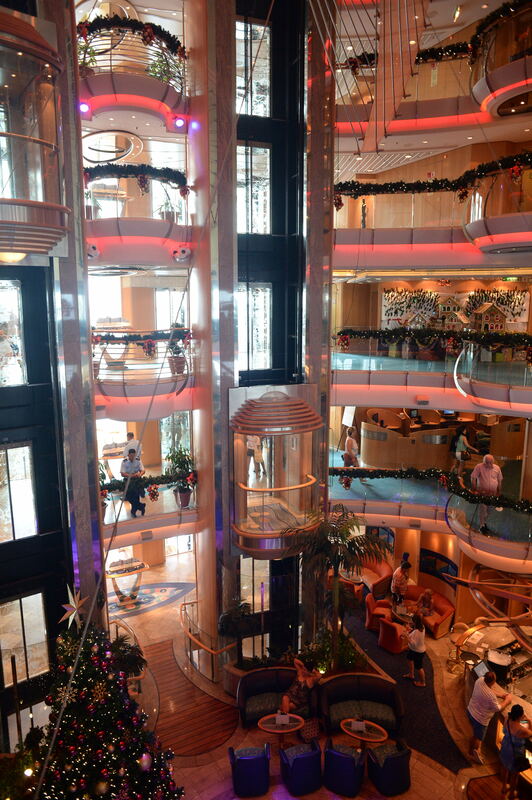 Following an extensive $50 million revitalisation in 2013, Legend of the Seas has a central atrium with an acrobatic aerial show, rock climbing wall, mini golf course, an indoor swimming pool, babies nursery and multiple specialty dining venues including a Sushi restaurant and 12 seat private dining room. Other features include a two-deck grand dining room, 800 seat theatre, the Vitality Spa & Fitness centre, a beauty salon and a shopping arcade. The addition of Legend of the Seas, along with the recent announcement that Explorer of the Seas will replace Rhapsody of the Seas, represents a total capacity increase in Australia of 47 per cent. This entry was posted on Wednesday, June 11th, 2014 at 5:29 am and is filed under Uncategorized. You can follow any responses to this entry through the RSS 2.0 feed. You can leave a response, or trackback from your own site.